Rigol DG5251 - Arbitrary waveform function generator with one output channel, 250 MHz max. output frequency and 1GSa/s sample rate. 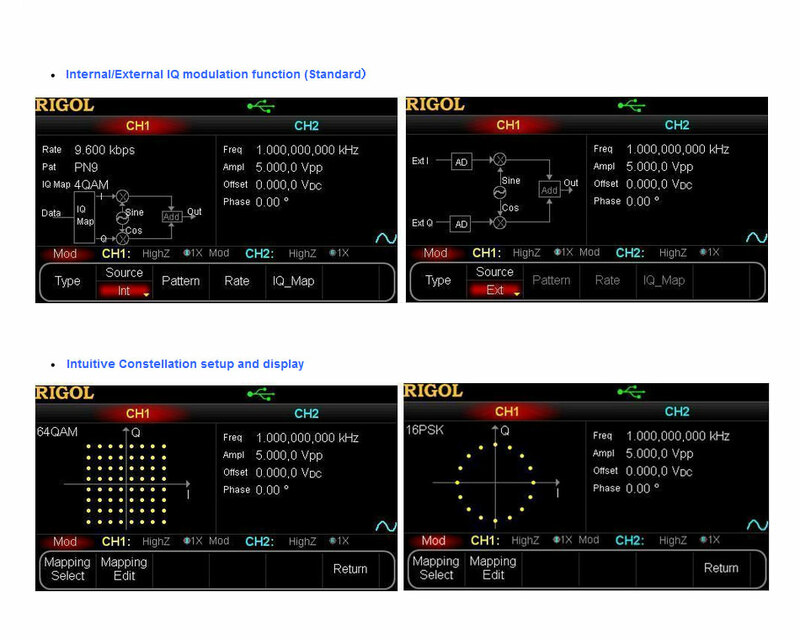 Rigol DG5251 is a multipurpose generator combining different capabilities including Function Generation, Arbitrary Waveform Generation, IQ Baseband Source/IQ IF Source, Frequency Hopping Source (optional) and Pattern Generation (optional). 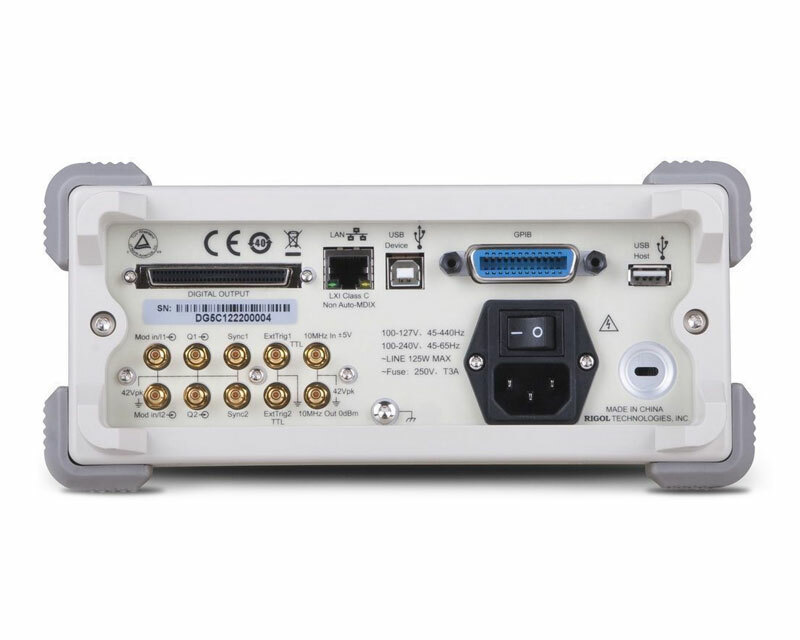 The DG5251 is a single channel model and adopts Direct Digital Synthesizer (DDS) technology, which providing stable, precise, low distortion signals. 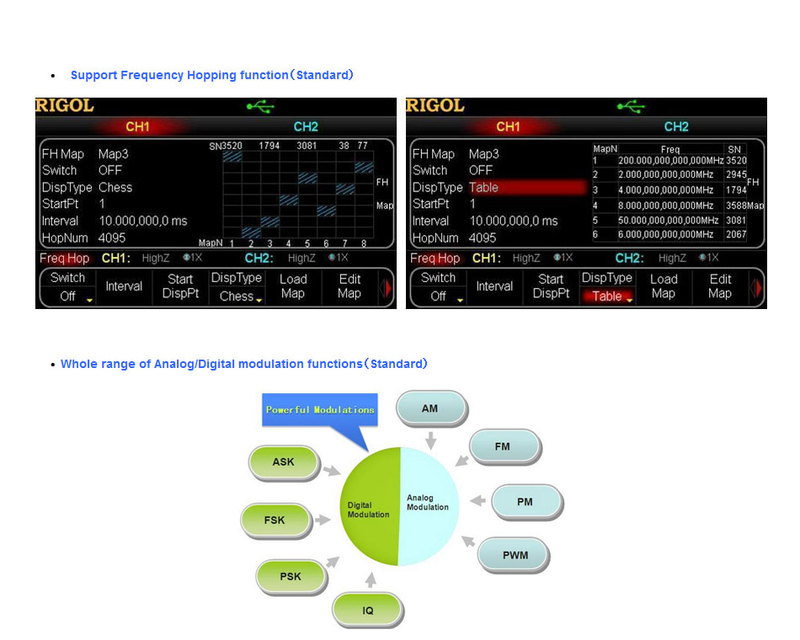 Rigol DG5071 - Arbitrary waveform function generator with one output channel, 70 MHz max. output frequency and 1GSa/s sample rate. 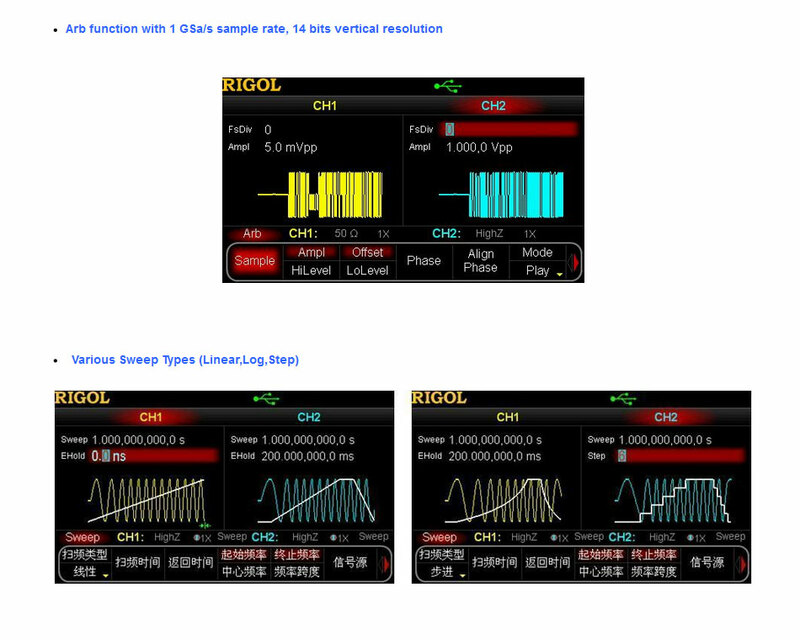 Rigol DG5101 - Arbitrary waveform function generator with one output channel, 100 MHz max. output frequency and 1GSa/s sample rate. 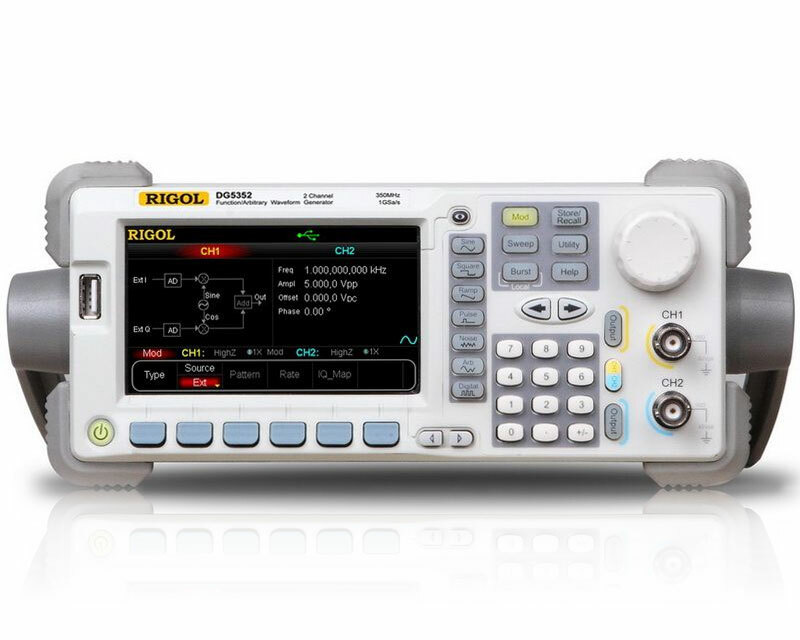 Rigol DG5351 - Arbitrary waveform function generator with one output channel, 350 MHz max. output frequency and 1GSa/s sample rate.